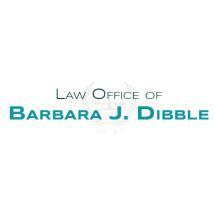 Barbara J. Dibble has practiced law since 1990 and has specialized in estate planning since 2005. She assists individuals in planning how to transfer their estates at their death, represents trustees who are managing a family trust after the death of the trustor, and handles court-supervised probate proceedings, when a probate becomes necessary. Ms. Dibble works closely with accountants to produce trust accountings for trustees. Additionally, she helps clients find and work with professional fiduciaries, when clients wish to have someone other than a family member to serve as trustee and executor or when no family members are available to take over those jobs . She has extensive experience in helping trustees to locate and value the assets of a trust after a death and to clear title to assets so that the trustee has proper authority to deal with the trust assets. Ms. Dibble assists trustees in communicating effectively with trust beneficiaries to clarify the legal rights and obligations of all parties and to maintain family harmony.